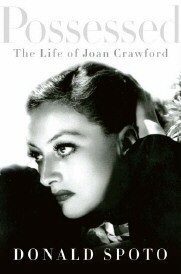 Having written such successful biographies as The Secret Life of Marilyn Monroe, Michael Jackson: The Magic and The Madness, Jackie, Ethel, and Joan (which was adapted into a miniseries for NBC) and of course Call Her Miss Ross, J. Randy Taraborrelli has been crafting and adding to his fan base for the past two decades. This man's talents don't just stop at the written word either. He has appeared everywhere from CNN to Good Morning America to Larry King Live, reporting first hand on some of the most famous and some of the most heartbreaking celebrity stories of our time. A man who goes after what he wants, and insists on presenting the most accurate portrait of the personalities he writes about, Randy gives his audience his all with every release he turns out. 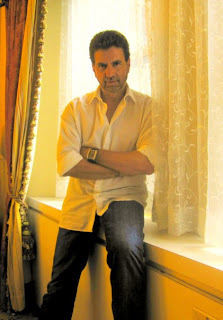 His presence on the bestseller lists is testament to the popularity of his work. He's someone who cares about the people he writes about and this comes across ever so clearly in his books. Randy is a friend of mine who I've interviewed twice over the past few years. He's always there with a quick reply to an email, a tip on where to find a Supremes track that is hard to get your hands on, and he's a dynamo when it comes to his sense of humor. The man just makes people his friends with ease. For anyone unfamiliar with his work I highly recommend him. For those who do know him, the praise is shared indeed. From CBS News. Talk about DUMB! MADISON, Wis. (CBS/AP) Brandy broke down in tears. Dancer Derek Hough was slackjawed. Judge Bruno Tonioli leapt to his feet and urged audience members to vote. But the most violent reaction of all to Tuesday night's "Dancing With the Stars" results show came from a 67-year-old Wisconsin man, so enraged over Bristol Palin's performance that he blasted his TV with a shotgun, leading to an overnight standoff with a SWAT team. A Dane County Sheriff's detective says in court documents that Steven Cowan, of the town of Vermont, believed Palin was not a good dancer and was only kept on the show because of her famous mother. The singer Brandy, a consistently high scorer who was favored to win the dancing competition on ABC, was eliminated Tuesday night, clearing the way for Palin, whose scores have been in the basement all season, to join actors Jennifer Grey and Kyle Massey in next week's finals. 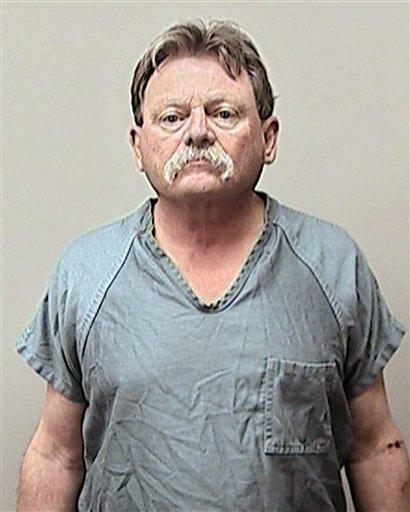 Police say Cowan, who was was later charged second-degree reckless endangerment, loaded his shotgun and blasted the TV before turning the gun on his wife, who escaped. Tactical officers surrounded the home and managed to talk Cowan, who faces to up to 10 years in prison if convicted, out of his house. Things always get tedious on Survivor when the show hits its mid season point. So it’s no surprise that this is the case right now. On the tenth episode of Survivor Nicaragua, players began jockeying for position into the power spots… and the results left one alliance reeling. In an episode that featured one team rolling their way to victory in the reward challenge, an inferno consuming most of the camp, and individual immunity going to powerhouse Jane Bright, the 55 year old dog groomer from North Carolina, things got pretty dicey as the tribe members realized that now was the time to get themselves firmly into whatever spots they want to be in to hopefully ride their way into the finals. Some found their niches with ease while others were suddenly on the fringes, trying to find their way back in. Sash and Brenda began the hour by enjoying their swing vote positions as the power couple on the beach. However, this proved to be their biggest liability with their fellow contestants. Jane, Holly, and NaOnka realized how dangerous the duo was to their own game plans and proceeded to clue in Fabio, Dan, Benry, and a reluctant Chase. Purple Kelly was along for the ride due more to her being in the right place at the right time than any major strategic move on her part. During the reward challenge, Jane, Chase, Fabio, NaOnka, and Purple Kelly balanced themselves on planks perched atop overturned barrels and successfully rolled their way to the finish line without falling off, thereby winning a helicopter trip to the top of a volcano where they enjoyed brownies, pizza, and ice cold soda before enjoying a board surfing jaunt into the volcano’s interior. During their time away from camp, NaOnka confirmed what Jane was already thinking about Brenda being the most dangerous player in the game, due to her ability to get Sash to do things her way. NaOnka and Fabio even buried the hatchet as she explained what was going on and he realized this was so. Jane couldn’t have been more pleased as this easily gave her alliance of Holly, Benry, Dan, and Purple Kelly the numbers they needed to get rid of Brenda before she could affect any more damage to them. Back at camp, the losing team returned to find that fire had consumed most of their supplies and food stores. Before leaving for the challenge, in an attempt to keep the fire going in spite of the rain, Benry and some of the others had moved the chests containing their extras up close to the hearth. When the rain didn’t come, the fire got out of control with no one around to contain it. Disaster. Now the tribe is left with one cup of rice per day to keep them all going. Unless Jane can catch more fish! The immunity challenge was fun. Jane outlasted everyone else by holding onto a rope while standing almost vertical over water. As her peers dropped one by one, she found herself in a battle of wills with Chase. His weight ultimately led to his getting doused, affording Jane the honor of being safe for another three days. After immunity was won, the team began its weekly machinations to vote someone out. Everyone agreed that Brenda had to go. Everyone except Brenda and Sash. To make matters worse, Chase went to Brenda and told her everything that had been said during the reward challenge about voting her off in a blindside. Thinking he was safer within his secret alliance with Brenda and Sash, Chase outed everyone else and let Brenda know that NaOnka was the one who was leading the charge to get her evicted. Knowing that NaOnka has a hidden immunity idol, the three conspirators realized that there was no way they could turn the tables on her, and they also had to swallow the knowledge that they did not have the numbers to save Brenda. Her only chance was for Sash to give her the idol he got from jury member Marty. With eight of the ten votes against her, Brenda had her torch extinguished, but only after making a grand speech about how she was too proud to “scramble” to save herself once she was told she was the target. During her oration she unmasked NaOnka as the leader of her decapitation and everyone realized that Chase had ratted out them and their plot. Of course this didn’t change the outcome. When Sash held onto his idol at the last minute, Brenda had to make her exit. In the scenes for next week’s episode, it looks as if NaOnka once again maneuvers her way into the hot seat with her teammates. Also, with Brenda gone and everyone else knowing how Sash was with her and that Chase betrayed them, things are going to get even more interesting indeed. Youth, pride, and stupidity seem to continue playing a big part this season. I love disco. It gets a bad rap today because it did interrupt the flow of all that delicious soft rock of the seventies, but some of that music still sounds fantastic. Maybe the lyrics are dated. Maybe some of the acts look quite silly in those old video clips. Maybe it is a bygone era. But what it is to me is a representation of some of the music that ruled when I was in my formative years. One of the most successful and best remembered of the one hit wonders who appeared during this frenzied period in American music, Atlanta's own Alicia Bridges scored one of the biggest hits of the late 70's with an infectious number that remains popular today. I Love The Nightlife (Disco Round) is one of those songs that people just can't sit still when they hear. Alicia's impeccable vocals bring the whole mellow arrangement a scorching touch of originality that keeps this one alive well into the third decade past its initial popularity. Here in a video clip from You Tube, shot during the song's heyday, is Alicia Bridges singing her Grammy nominated mega hit.